The Garmin Vivoactive 3 Smartwatch Review – Contactless Payments and Wrist-based Heart Rate. There is no doubt that Garmin has been a “Big Boy” in producing awesome sporting gadgets in the past. Yet once again Garmin threw in their latest flagship smartwatch, Garmin Vivoactive 3, in a bid to improve the brand’s performance in the market. Unlike any of the previous releases from the company, the Garmin Vivoactive 3 seems to have assumed a completely new design with awesome capabilities. This, of course, means that it has taken exercising into a completely new ground. Now, just about every feature you can think of being in a 21st-century smartwatch will actually be present in Garmin Vivoactive 3. Is it a GPS tracker? Check that. Is it a heartbeat sensor? Well, check that too. …wait, I did hear something about “mobile payments”, is it present? Sure, check even that one. But somehow, it doesn’t look very sporty like its predecessors (in my opinion). Despite the look though, this smartwatch is really a game changer in sporting as we will see. In this edition, we basically did cut through the chaff and analyzed the finest details we could about this smartwatch. By using the word “chaff”, I mean we will explore “what is” and “what is not” about the Garmin Vivoactive 3 GPS smartwatch. And by the word “basically”, I mean we may have to go through about 2000 words together. Off the box, the watch comes packaged with only the Vivoactive 3 smartwatch, a USB charger/data cable, and a user’s manual. Unlike the earlier fitness-wear that assumed a rectangular shape, Vivoactive 3 actually took a round shape (much like most modern smartwatches). This is the reasons I considered it not very sporty (by looks). But also, the design serves to help the watch to sell more as the new design looks cute and quite normal with a look that is rather unisexual (allow me to call it so). Now, if you have used any popular smartwatch, you will admit that it is sometimes hard and slow to get through the process of actually navigating through the menu icons. Samsung sort of added a rotating ring-like bezel in Samsung Gear 2 Smartwatch to reduce that problem. Apple has just ignored that problem. But Garmin’s Vivoactive 3 design incorporated a casing that is sensitive to touch and I assure you this really makes the watch extremely easy to use. Lastly, this watch has a steel casing and a plastic band. This makes this watch extremely friendly and durable as it is not susceptible to either rusting or breaking. This watch uses a normal USB cable charger and the same for data transfer. One main reason why this watch’s battery stands out is the fact that it can last up to 7 days (when in normal mode) or stretch up to 13 hours if used in continuous GPS mode. Apple Watch 2 smartwatch: Apple spits affluence. This watch has the elegance that is coupled with performance in such a manner that I find it difficult to rank it as a formidable competitor in a Garmin Vivoactive 3 smartwatch review. It has a strong connectivity, a stable GPS, an awesome variety of applications and great memory storage. Nevertheless, this watch costs between $350 and $550 (in some countries), something that is way above most watches of equal performance. Garmin Vivoactive HR: this is an earlier version of Garmin that focused on fitness (much like Vivoactive 3). Nevertheless, this watch had weaker properties e.g. it had smaller battery duration and poor watch connectivity when compared with Vivoactive 3. It also supported fewer applications than the recent release. Nevertheless, the Vivoactive HR costs just about $200 which is way much of a bargain. So, if you are on a fixed budget, this option will be much better. A longer battery life: This is perhaps the main reason all fitness-minded people ought to get it. Nobody really enjoys charging watches and watches over and over again. Now, we have all heard of smartwatches that stay 24 – 72 hours once charged. But an offer with 7 days of battery life or rather 13 hours of live GPS (as Vivoactive 3 does) is whole new cattle of fish. Garmin Pay: Garmin has joined Samsung and Apple in using mobile payments. It is no longer about “swiping a card” anymore. You can just need to wave a watch and go. That sounds cool, doesn’t it? Many fitness games and guides: this watch arrives with 15 preinstalled games and one can easily download additional applications or even compete with nearby devices which actually makes sporting more interesting. Water resistant: look, you don’t even need to get worried should your watch fall over the washing tub anymore. This little boy has got you covered. Though it isn’t way too good, it is just good enough to help you while swimming or in such like conditions. It is light-weight: though the exact weight of the watch is not recorded, the Vivoactive 3 seems to be just light (about 1.6 oz.) enough to be negligible while carrying out the normal exercises. Easy to use: with a pretty interface and a touch-sensitive ceasing, this watch makes it very easy to navigate, unlike most smartwatches. High watch compatibility: Now, this little watch is compatible with Android and iOS watch platforms. This means it is usable to more watch users than those that are compatible with only 1 watch platform like most Apple smartwatches. Poor interface: on analysis, it was clear that about 9 in 10 of all critics of Garmin Vivoactive 3 were focused mainly on the poor image relays and poor graphics portrayed by the device. Certainly, being a smartwatch that focuses mainly on fitness, one may not easily find its applications as attractive as the likes of Apple. Software incompatibility: there are also complaints that have been raised on the incompatibility of the watch with some of the application that is supposed to run on the device. Quite costly: it is not that I am trying to be vindictive on Vivoactive 3, but considering what it presents on the table against its competitors, I am somehow skeptical of this watch’s high price tag. But I suppose it is just because it is too new. Soon the prices may get to settle. Battery: though most of the Garmin products have been reported to have a good battery, it was clear that some of the releases have had battery issues and thus one may have to utilize the use of a warranty in such like cases. In the recent years, smartwatches have really become a battleground for the biggest tech-giants. Willy-nilly, it is not because watches have become a new gadget than phones but rather because the portability of watches has been a driving factor that drives most buyer preferences. Despite that, a few companies have minded considering producing awesome, easy-to-use and cheap sporting/fitness watch like Garmin have done. When considering all the features reviewed above, it was my view that Garmin Vivoactive 3 smartwatch is likely to become a game changer. A summary of all analyzed online reviews gave this watch a rating of 9.2 out of 10. This means that just about 9 in every 10 buyers of this watch actually enjoyed using it. Though it may not stay high rated for long in the market (owing to the rapid inventions that keep arising in technology), as at now, Vivoactive watch 3 stands as one of the best fitness watch one ought to try out in 2017 – 2018. Where can I buy Garmin vivoactive 3? I recommend buying it from the trustworthy online store, Amazon. Get direct access to the European and US stores by clicking the buttons below. Garmin is known best for their GPS mappers used in cars and I can see that they’ve moved up their game drastically. Design is simplistic and useful and 13 hours of battery seems like a very promising limit for everyone. Also mobile payment option is pretty cool. Imagine you got thirsty during your running session and just get into the market, swipe your watch and you’re good to go. Impressive. It really has some great features and is ideal for what I am looking for. I do a little cross-country trekking at the weekend and I would love to know what the stats of my run would be. I see it has heart rate, calories, steps,distance and all of the important analytics that I would be interested in. I see the price point range that it retails at, which is what I was thinking it would be approx. Who knows, I may treat myself after Xmas. Great information on this fitness watch. Thanks for comparing it to Apple and other fitness watches. I am just starting to look at these and don’t know too much yet but your post gives me s great start on educating me as to what to look for and what others are saying. I hope the price goes down a little before Christmas, if so, I may be buying one for myself! Hi Dave! Comparison is always always very helpful. I hope to do more comparisons in the future. 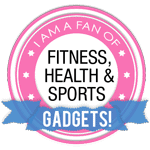 It is an infinite amount of possible ways to compare fitness gadgets, but I have some ideas.